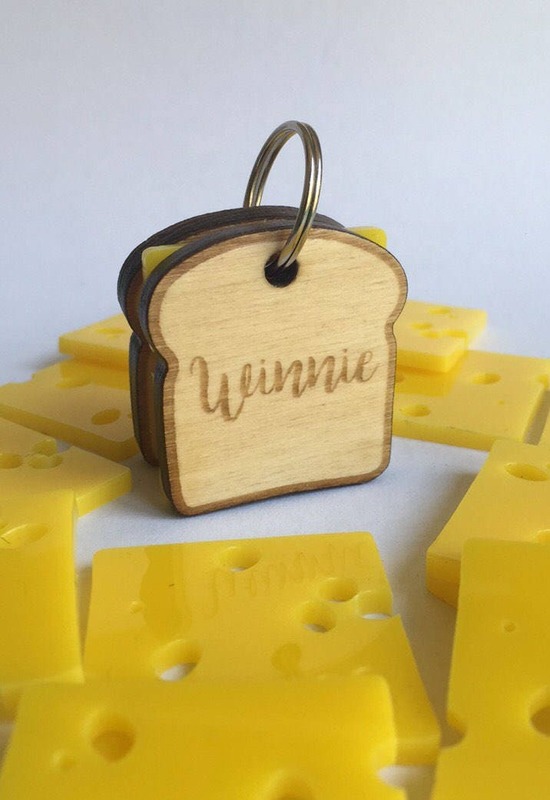 Custom laser cut wood and plexiglass Sandwich dog tag with cheese. - S tag is 27 mm wide and 13 mm thick. - M tag is 35 mm wide and 13 mm thick. 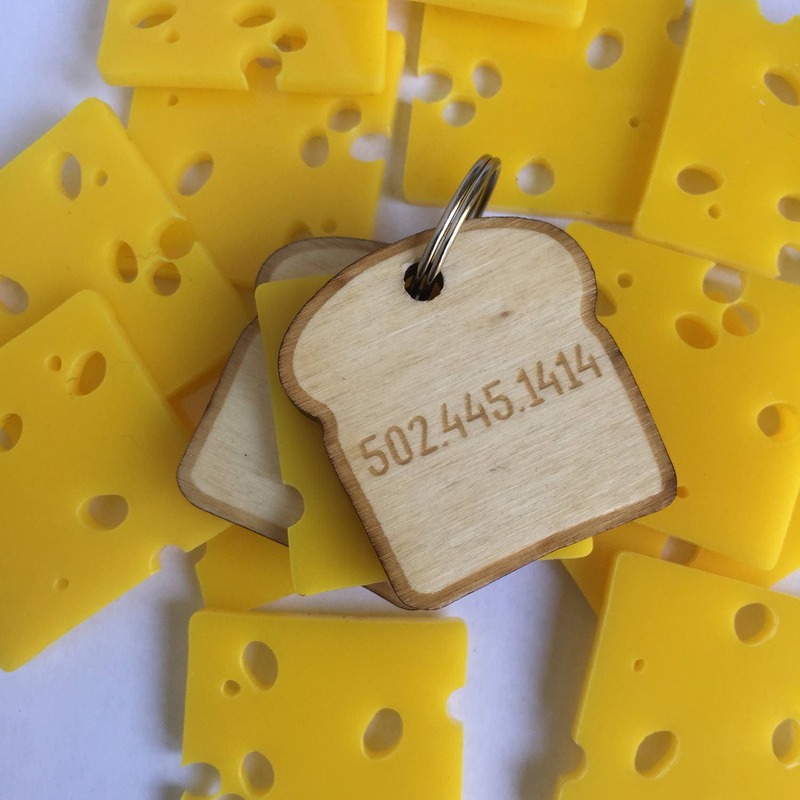 It is made of two slices of white bread (poplar plywood) and one slice of cheese (yellow Plexiglass). 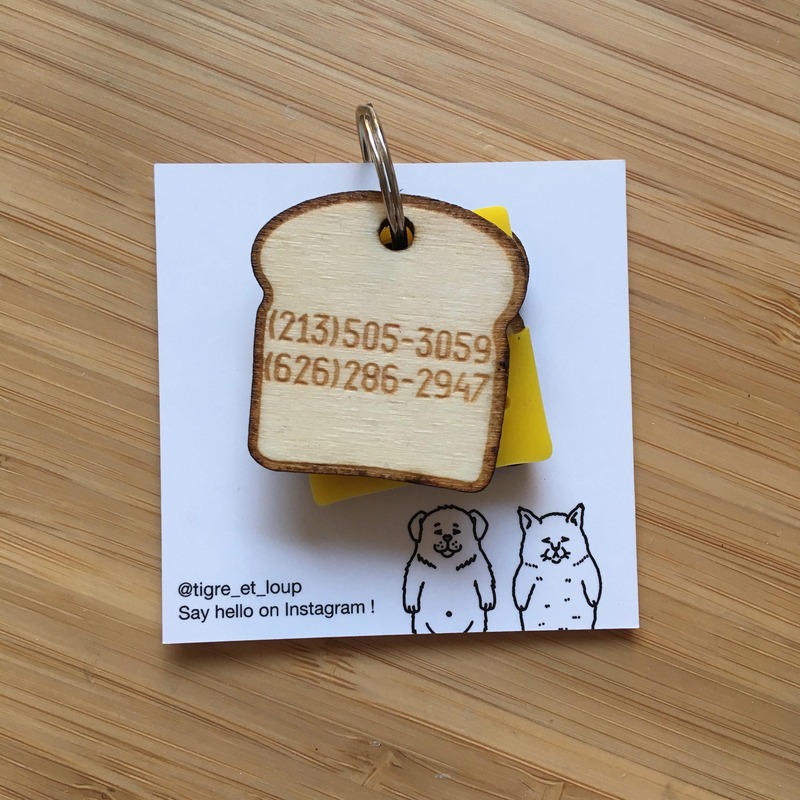 Your dog's name is engraved on the first slice of bread, and your phone number is engraved on the second slice of bread, on the external side of the sandwich. Tags are designed by Tigre et Loup and laser cut in a parisian workshop. Wood parts are then varnished to ensure maximum strength, protection and weather resistance. However, try to keep it away from dog teeth as far as possible. Each tag comes with a double split ring for easy fastening to your dog's collar. Received! Thank you so much! C’est ma deuxième commande et encore une fois je suis ravie ! 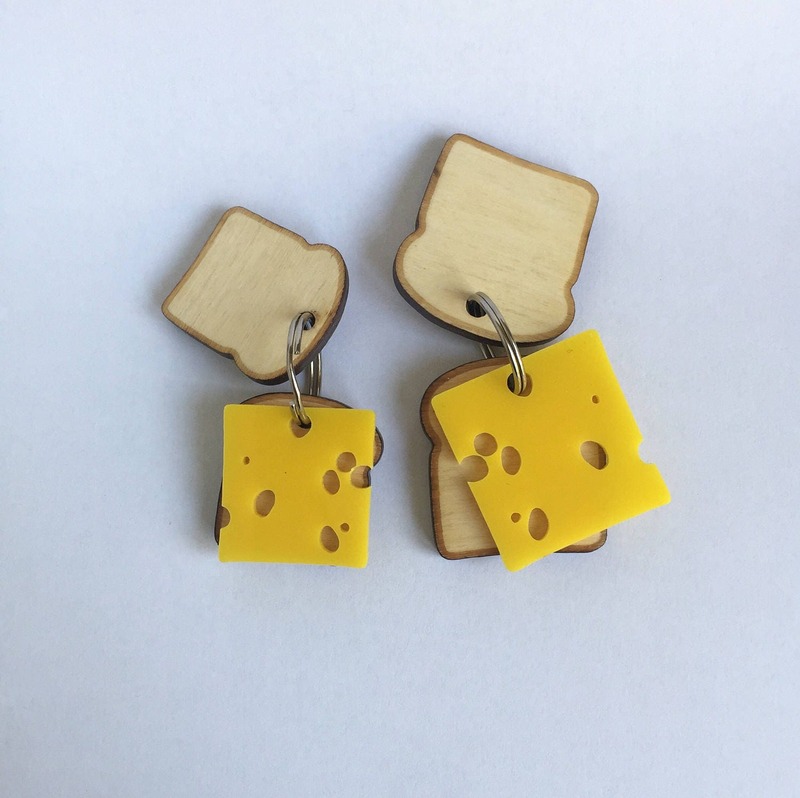 Que ce soit le collier ou la médaille je les adore, c’est magnifique ! La vendeuse est très gentille je recommande vivement cette boutique ! Merci beaucoup ! Good Seller! Even cooler in person! Thanks! Seller was very gracious and sent a second tag after dog chewed through it. Second tag was as cute as the first one and has lasted! 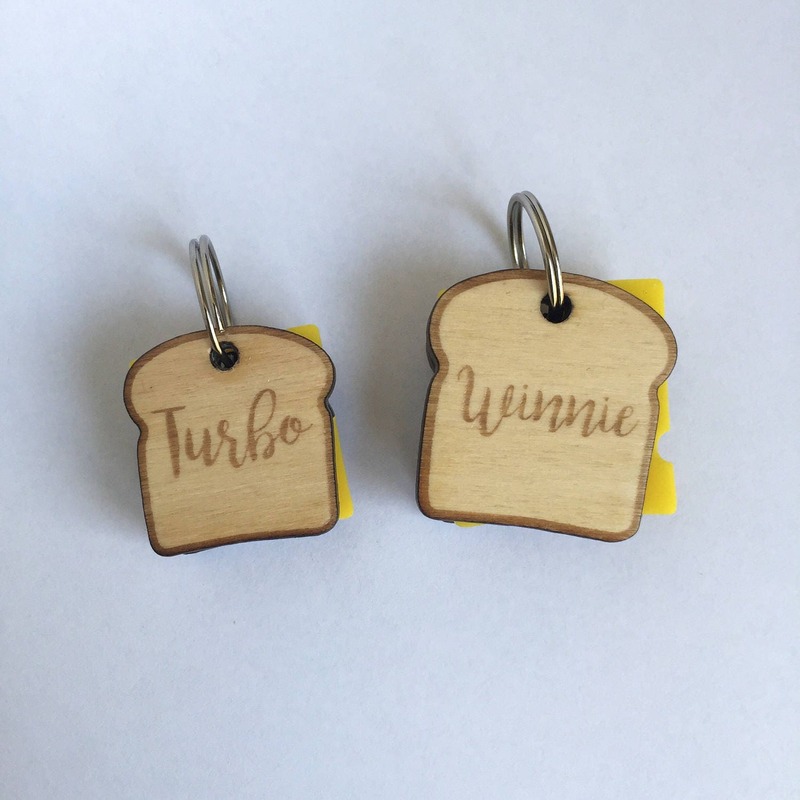 Amazing seller, thank you!